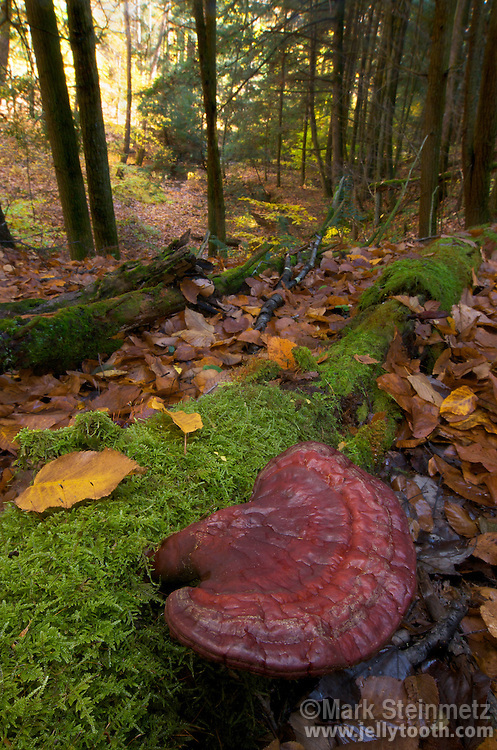 Hemlock Varnish Shelf (Ganoderma tsugae) fungi growing from an old, moss-covered hemlock log. This frutibody of this polypore persists throughout the year. Hocking State Forest, Ohio.